Some medical malpractice lawyers in St. Louis don’t have the experience or finances to win medical malpractice claims. We do. Most doctors, hospitals, and medical professionals give you great care, but sometimes the care you receive is not up to acceptable standards. Sometimes you end up with injuries or conditions you didn’t have when you went in. You may have a valid medical malpractice claim. But there’s another problem you’ll face. 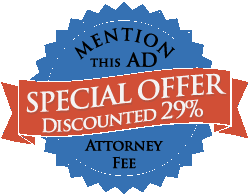 Many St. Louis personal injury attorneys and firms won’t take your case on. They won’t because medical malpractice claims are expensive and difficult to prove. Missouri has made them harder to win to keep liability insurance costs for physicians lower. It may reduce their costs, but what are you supposed to do if you get injured because of incompetent medical care? Should you have to take financial responsibility because of a medical professional’s careless or negligent conduct? At Mullen & Mullen, we have the legal expertise and financial stability needed to win your claim. Shane Mullen* is a Super Lawyers Rising Star (2014-2016) and a member of the prestigious Million Dollar Advocates forum. His father, Regis Mullen*, has more than 3 decades of legal experience. And he’s worked for insurance companies, so he knows how to defeat their legal arguments. Joseph Morrison* ran a litigation practice and has overseen the filing of hundreds of lawsuits. He previously practiced Social Security Disability Law and has deposed or cross-examined hundreds of doctors. So regardless of how big your case is – or the size or reputation of the hospital, physician, or medical facility – we can help maximize your chance of winning your claim. Medical malpractice claims require extensive financial resources because it usually takes expensive witness testimony to prove your claim. At Mullen & Mullen, we have a strong reputation and stable client base from repeat and referral clients, so we have healthy financial resources that allow us to take on your claim. We have been in business over 30 years fighting for injured victims. Judges, arbitrators, mediators, and juries get skeptical of you if you wait to file your claim. They think medical malpractice victims who are truly injured act quickly. So it’s important to discuss your claim with a proven medical malpractice lawyer as soon as possible. Contact us online today, or call 314-465-8733 (314-INJURED) to get your free consultation. Remember, we treat you like family. So this is just a friendly conversation to see how we can help you. There’s absolutely no pressure to hire us on the spot. Take some time to think through our conversation and come back when you’re ready. And you only pay when we win your case.